The Brick Project continues to build a global network of distinguished faculty in each of the core curriculum subject areas: History, Ecology, Art and Literature. 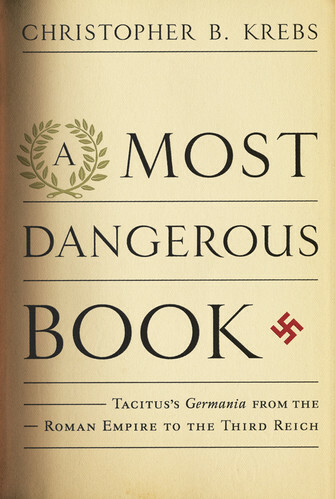 In his fascinating new study, “A Most Dangerous Book,” Christopher B. Krebs draws attention to another part of the explanation for Germany’s existence — the role played by Tacitus himself, through the influence of a small volume called “Germania.” Think of it as an ancient exercise in social anthropology. 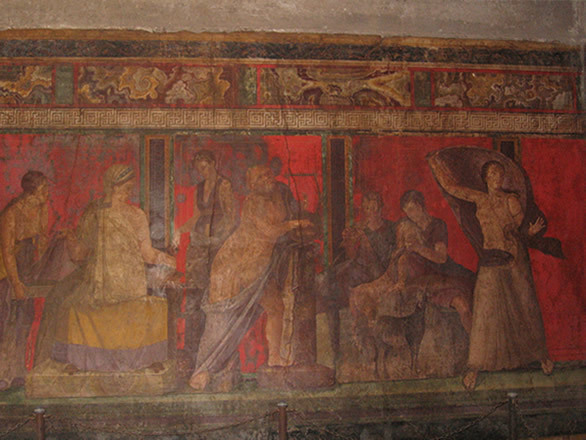 The Romans were bedeviled for years by motley tribes lumped together as Germans. Tacitus set out to describe them. 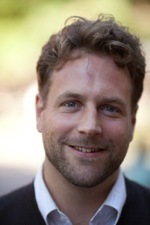 Christopher B. Krebs studied classics and philosophy in Berlin, Kiel (1stStaatsexamen 2000, Ph.D. 2003), and Oxford (M.St. 2002). He was a lecturer at University College (Oxford) before he joined the Classics department at Harvard in 2004. In the spring of 2007 he was the professeur invité at the École Normale Supérieure (Paris), and in 2008/9 the APA fellow at the Thesaurus Linguae Latinae in Munich (on which see his “You say putator” in the TLS). He has also co-edited with Jonas Grethlein a volume on Time and Narrative in Ancient Historiography: The ‘Plupast’ from Herodotus to Appian (Cambridge: Cambridge University Press, spring 2012). His teaching interests overlap with his research, but also cover Latin and Greek languages and Roman Satire. He taught a freshman seminar at Harvard on Cicero and Roman Rhetoric (of which a short video clip was produced for the Arts First initiative). When, on December 31, 1933, cardinal Michael von Faulhaber climbed the pulpit of St. Michael in Munich, there was “a breathless silence in the mighty room.” The cardinal had the heightened attention not only of his audience—including journalists from around the world—but also of the newly installed Nazi regime. Leading National Socialists had watched wearily how, on the four preceding Sundays of Advent, the largest renaissance church north of the alps proved too small to host the cardinal’s congregation. His powerful language, characterized as “welded in the fiery forge of the … prophets of the Old Testament,” and his forthrightness, evidenced in his public praise of the people of Israel for having “excelled … by the sublimity of [their] religion,” attracted and exasperated. Little did Joseph Goebbels and others know that this final sermon, addressing the relations between “Christianity and Germanity,” would turn out to be the most unsettling by far. On this last day of the year, the catholic leader shared with his audience his anxiety over the resurgence of “a Germanic religion,” which he considered a threat to the two established Christian creeds. He proposed to look more generally at the much vaunted culture and glory of the Germanic tribes—widely and problematically held to be the German ancestors—and how they had lived before the advent of the Christian faith. For that purpose, he turned to “a small but valuable historical source,” the Germania, written by the Roman historian Cornelius Tacitus in 98 CE. The former was publicly burned by members of the Hitler Youth; the latter attacked in the night of January, 27 when two shots were fired on his home. Nazis of all ages and ranks could not believe that the cardinal had dared “to attack our Germanic forebears and thus also our Germanic race and culture” and, for that purpose, to misread its most important and venerated document: the Germania. When Tacitus (ca. 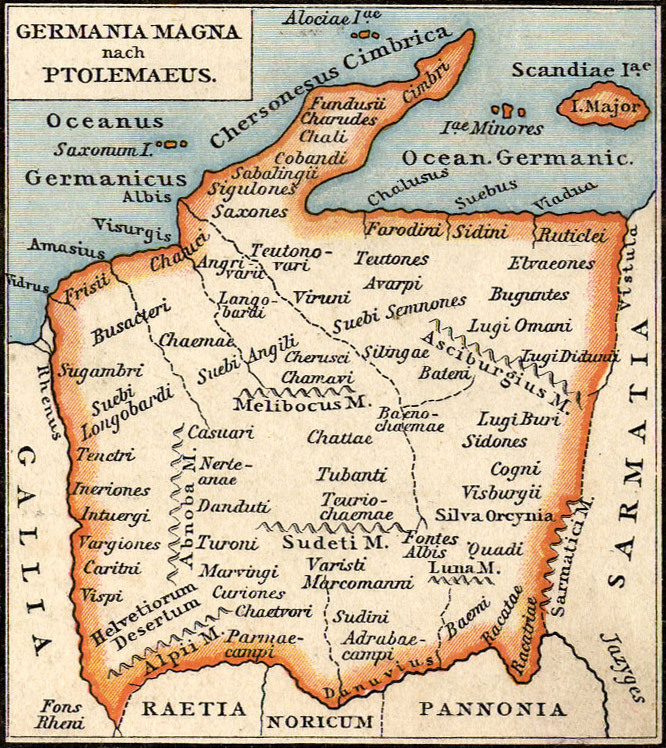 55 – 120s CE) wrote the Germania at the height of the Roman Empire, he could not foresee that his highly rhetorical portrait of the Germanic tribes living east of the Rhine would centuries later be used as the gateway to the realities of the German past. A booklet rather than a book—25 Oxford Classical Text pages “about the location and origin and mores of the (ancient) Germans” (de situ et origine et moribus Germanorum)—it reflects its author’s cultural background, political position, and historical views. A leading senator, one of Rome’s foremost speakers, and soon the greatest historian in Latin literature, Tacitus never even intended to produce a realistic account. A leading senator, one of Rome’s foremost speakers, and soon the greatest historian in Latin literature, Tacitus never even intended to produce a realistic account; but as such his Germania would be interpreted by most of its readers, starting soon after its rediscovery in the fifteenth and continuing into the middle of the twentieth century. The only extensive usage of the Germania during late antiquity and the middle ages appears in the ninth century in Fulda—in a monastery in what is now the central German state of Hesse. But this instance of reception remained without consequence, and silence would engulf the Germania once again, until, several centuries later, its only extant codex was rediscovered in Hersfeld (which lies near Fulda). The cardinal of Sienna, Enea Silvio Piccolomini used the Germania in an ecclesiastical dispute with rebellious German dignitaries to prove that their ancestors had led a barbarian existence before Christianization. During the first half of the fifteenth century, various Italian Humanists tried to get their hands on the manuscript; but for almost 30 years the sole result of their efforts was their prolific correspondence detailing schemes, difficulties, and, ultimately, despair. But then, in the 1450s, the Germania codex reached Rome, imported—most likely—by the papal manuscript hunter Enoch of Ascoli. Indigenous and pure, they lived a hard but free, simple but moral life as tall, fair, flaxen-haired men and women of war. Hardly flawless but certainly laudable, they held up well against their intellectually superior Roman contemporaries: What they lacked in cultural refinement they more than made up for by moral rectitude. They were a source of patriotic pride. Provoked by an Italian, German humanists formed “Germany” as an imagined community, actively inventing traditions set in the Germanic past. Subsequent generations followed their lead. Modifications within those traditions would be owed mainly to specificities of contemporary discourses, resulting in linguistic adaptations in the seventeenth and racial interpretations in the nineteenth and twentieth centuries. These modifications notwithstanding, for 450 years, whenever the German question—what it meant to be German—was asked, the Germanic past in general and Tacitus’s Germania in particular provided a normative answer. It is this usage that also accounts for the Germania’s twofold significance for the National Socialist discourse: a “magnificent monument,” it inspired NS writers; and, more importantly, for centuries it had contributed to the formation of those traditions that would ultimately, towards the end of the nineteen and early twentieth century, fuse into the völkisch and then National Socialist ideology. They should form an elite of “German men of Nordic determination selected on special criteria.” These criteria, summarily set out in propagandistic flyers that Himmler authorized, were: racial purity, will to freedom and bravery, loyalty and camaraderie, honor, and obedience—all but one of which had already been celebrated by German humanists; the Nordic race, on the other hand, had been profiled by Hans Günther, whose works enjoyed enourmous popularity among National Socialists: from Adolf Hitler to the rank and file. Tacitus had attributed to Germanic men and women fierce-blue eyes, red-blond hair, and tall frames. These characteristic features were then borrowed by anthropologists during the late eighteenth and nineteenth centuries, when they portrayed the Aryan or Nordic race. To Günther’s sore eye there was but little left of these features among the Germans. “Cross-breeding” had led to all but its disappearance, and according to a theorem that related racial mixture as degeneration to cultural decline, he advocated eradication of degenerate elements and selection of carriers of the Nordic race in order to return to the former state. This process that aimed at the promotion of the Nordic race was called nordification (Aufnordung). In Günther’s view, Tacitus’s Germani had practiced such selection and eradication in the name of racial purity. 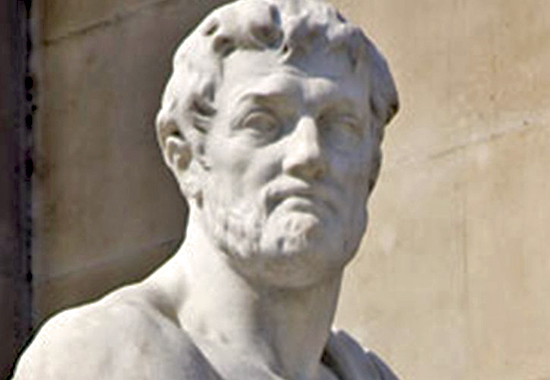 In the third chapter of his Origin and Racial History of the Germanic people (Herkunft und Rassengeschichte der Germanen), entitled “The Germanic care of race and the health of their (genetic) heritage,” he discusses Tacitus’s description of crimes and punishment. Elaborating on “how the Germanen hung up or drowned in the marshes those who were inferior or predisposed to perversion,” he lists traitors, turncoats, cowards, and profligates, among whom, he surmises, were to be counted those of homosexual inclinations.” Such executions, Günther added, guaranteed a continuous purification of the people, “since the genes of those folks would not be passed on to future generations.” It hardly needs to be said that in this instance (as well as in many others) Günther is mistranslating Tacitus’s most dangerous book into National Socialist thoughts and words. Critics of such and similar wishful views fared badly. Eduard Norden—the “greatest Latinist in the world,” according to Harvard’s contemporaneous president James Conant—had before the rise of National Socialism cautioned against reading the Germania as if it simply displayed the German past. In a hefty tome that won the Fondazione Vallauri prize as one of the finest works on Latin literature, he traced many of the allegedly Germanic characteristics back to Greek and Roman descriptions of various other peoples like the Egyptians and the Scythians. Eduard Norden—the “greatest Latinist in the world,” according to Harvard’s contemporaneous president James Conant—had before the rise of National Socialism cautioned against reading the Germania as if it simply displayed the German past. These were “wandering motifs,” which, it seemed, Tacitus attributed to the Germanic tribes because they fitted what the Romans considered a barbarous people. Norden’s discovery cast doubt on the Germania’s historical authenticity—a result, as the author himself conceded, “not particularly pleasant” to those enthusiastic about German (pre)history. Readers of a certain bent were indeed displeased. There erupted such a storm of protest that Norden felt compelled to seek cover in ambiguity in his second edition, reassuring his readers that Tacitus’s text remained “a historical source of the first order.” He had realized that the faith of those who wanted to believe was not to be shaken. Cardinal Faulhaber’s public reading of the Germania was even more critical and political, given the involuntary significance Tacitus held for National Socialists; he must have known that he climbed the pulpit only to face danger. Tacitus’s Germania had proved dangerous before; it would do so again. Editor’s Note: This piece by Christopher is a slightly modified version of his article that appeared in 2011 in the New England History Journal, entitled: Historically Speaking ?